Turkish-Kurdish War or ISIS-Daesh Civil War? Posted on25 January 2018. Tags: Syria: ISIS-Daesh Civil War? 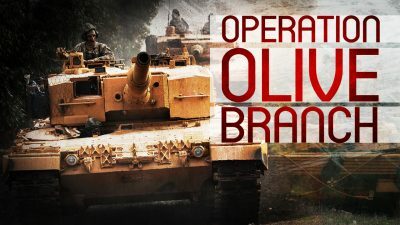 A superficial reading of “Operation Olive Branch” indicates that it’s a Turkish-Kurdish war, but the details of who’s fighting make it look a lot more like a Daesh civil war in its opening stages, and that’s exactly what both Ankara and the YPG originally intended. The commencement of Turkey’s “Operation Olive Branch” has led to a flurry of commentary about its true motives, with critics dismissing its official “anti-terrorist” premise on the grounds that Ankara is allegedly fielding Daesh fighters under the guise of being “Free Syrian Army” (FSA) militants. There’s no doubt that some of Turkey’s proxies are abominable figures, and this has already been established years ago through investigative reporting by some prominent Alt-Media journalists, but there’s more to President Erdogan exploiting them in the present moment than the rhetorical explanation that he’s “evil”. People have warned for some time now that the scourge of terrorism will inevitably boomerang back against its patrons, and President Assad famously quipped that “terrorism is like a scorpion, if you put it in your pocket, it will sting you”, but for as much as some observers convinced themselves that President Erdogan was arrogantly ignoring this sound advice, he was actually taking it quite seriously. Instead of letting jihadists “retire” in Turkey and expectedly stir up trouble there with time, he prudently realized that he must always keep them busy fighting against other foes before they get “too comfortable”, and thus wisely came to the conclusion that he could conveniently “kill two birds with one stone” by pitting them against his hated PKK enemies and their Syrian YPG offshoot. The same Machiavellian logic interestingly comes into play from the perspective of “Operation Olive Branch’s” Kurdish targets. Reports have come in that the YPG is releasing all Daesh prisoners in Afrin so long as they fight against their former Turkish patrons, which is believable when considering the accusations that the Syrian Kurds occasionally cut deals with Daesh in the “Race for Raqqa” and subsequent “Dash For Deir ez-Zor”. Not only that, but other sources claim that the YPG is directing its foreign (mostly Western-originating) fighters to wage war against the Turks in Afrin, which could simultaneously serve the purpose of killing some of them off and “thinning the heard” of unreliable non-state actors. This would in turn save their governments the hassle of having to monitor them when they return back home out of the fear that these majority-leftist-sympathizing “mercenaries” could turn into dangerous “Secular Wahhabi” terrorists. 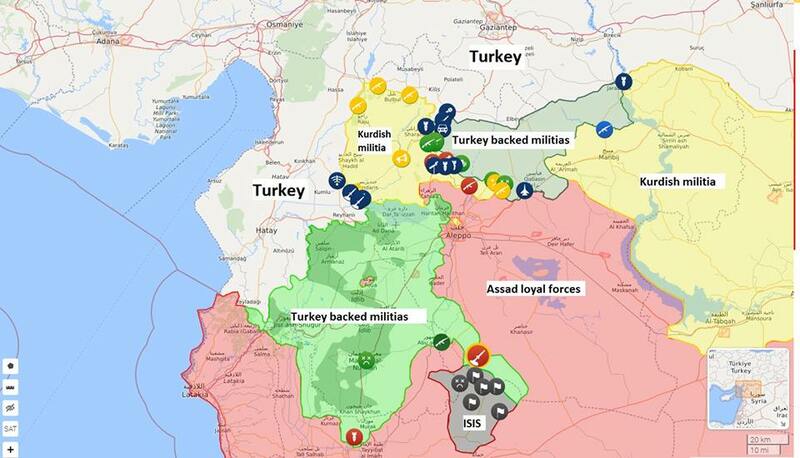 The end result of this is that the Turks and Kurds are trying to rid themselves of the devilish long-term consequences of their Faustian deals with Daesh, essentially sending their one-time allies to their doom in the mountainous meat grinder of northwestern Syria in order to avoid being “stung” by their own “scorpions” first. From the cynical perspective of both primary participants in the Turkish-Kurdish war, it’s better for each of them that the opening stages of this conflict resemble a Daesh civil war than anything else at this point, but once this “bashi-bazouk” fighting force is depleted and the “real war” between the two sides begins, then the US has an interest in perpetuating it as long as possible and turning it into a 21st-century iteration of the Iran-Iraq War so as to indefinitely manipulate the Mideast balance of power to its grand strategic favor.